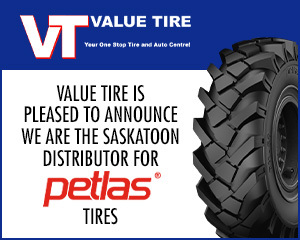 Here at Value Tire, we carry many name brand tires to serve Yorkton, SK, Regina, SK, and Saskatoon, SK. Our tire prices are some of the lowest around and we have the tire service to back up our tires for as long as you own your car. Not sure on which tires are right for your car? Then please browse through our online tire catalogue to shop for tires. Still have questions or need help with other auto repair services? Then stop by a Value Tire location near you or contact us online today! Value Tire is pleased to introduce our newest line of agricultural tires! Petlas tires are strong, durable, yet affordable for all your farm needs. The Laufenn tire portfolio meets the diverse needs of drivers across the country with its inclusion of tires for on road and off-road journeys in sun or snow. Many sizes are. . .